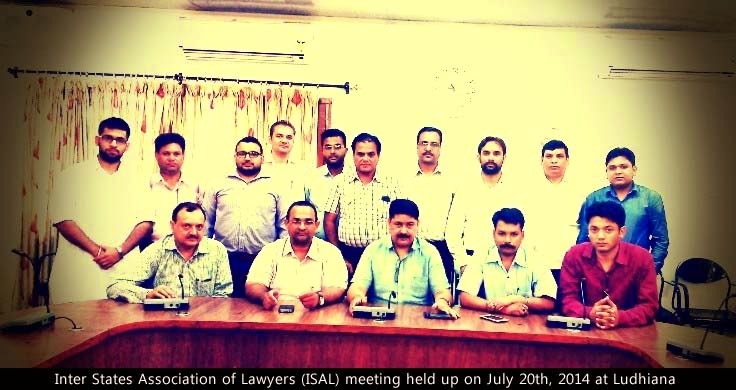 20th July, 2014 - Ludhiana : Second meeting was held as per schedule of ISAL. 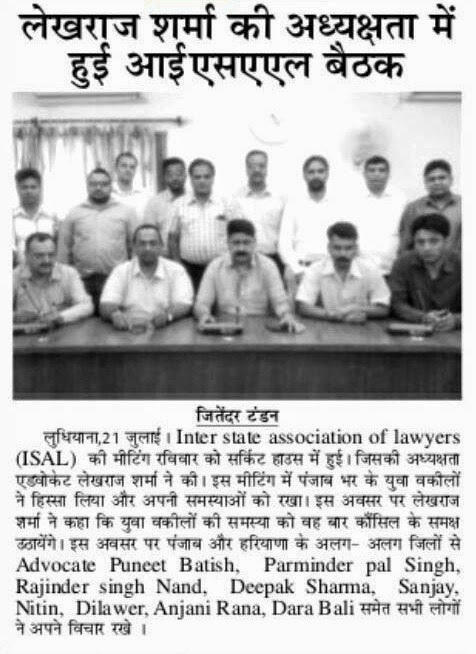 Inter States Association of Lawyers members met at Circuit House, Ludhiana to discuss various problems that are faced by Young Lawyers Across the country. The meeting was presided by Advocate Sh. Lekhraj Sharma, president of ISAL. Members from various cities across Punjab and Haryana joined the meeting. 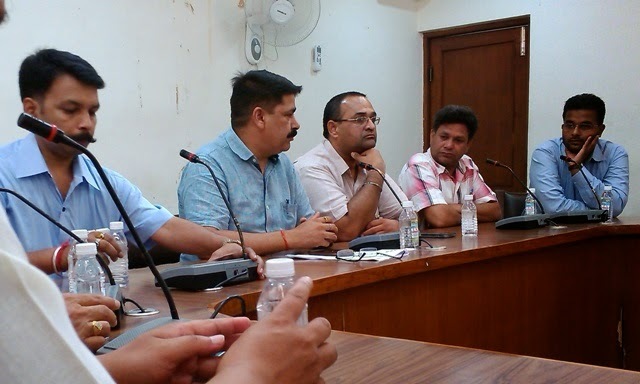 The list of the members include Advocates RK Maurya, Mohan Sharma, Parbind Sharma, Surinder Dilawari, Puneet Batish, Nitin Goyal, Rajinder S Mand, Mr L.Rai, Parminder Paul Sharma, SP Verma, Nitin Sharma, Anjani Kumar Rana, Kanav Sharma, Ravinder Vij and others. This event was thoroughly covered by media. Many media persons from various reputed newspapers reached at the Circuit House to capture this special event related to lawyers.